Prime 9.5 acre Estate property with an equestrian flair centrally located on Mason Road. 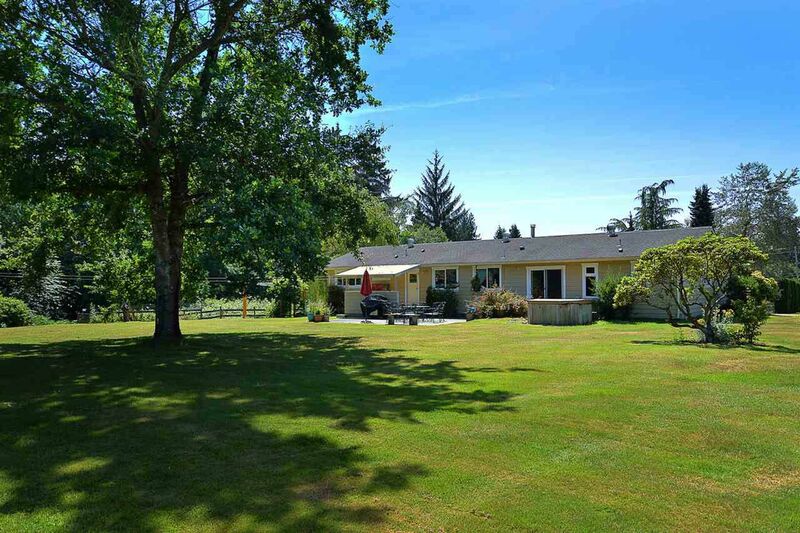 Enter the property down a long private driveway with perfectly groomed hedges and drive up to the just over 2000 sq ft 4 bedroom rancher. This home has been extensively remodeled with open concept kitchen and living room areas. Bamboo floors, all new windows, 4 full bedrooms and 3 bathrooms. There is also a large wood working shop with wood stove and a new 2 bedroom suite with tenant in place, above. Also, above ground swimming pool with large decks. This property caters to horses with a 4 stall barn with hay loft and tack room. 7 turnouts and riding ring, 3 bay equipment shed, shaving shed, chicken coop and 5 ponds.